Carpet can add color and comfort to your home. Did you know that many carpets are now waterproof or stain proof?! New carpet technology has created materials that make carpet perfect for lived in homes. 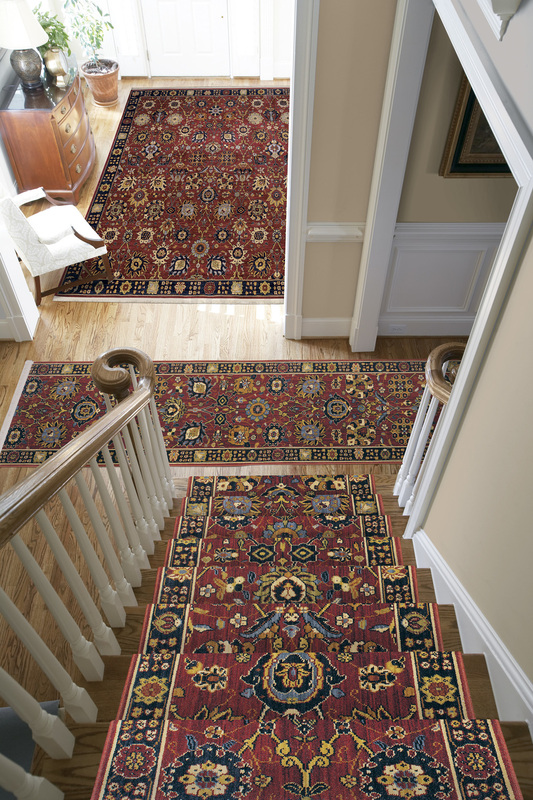 Carpet comes in so many colors, patterns and textures that can fit almost any design style. It is a good heat and acoustic insulator that adds color and comfort to your home. Most designers recommend leaving at least 18" of bare space around the perimeter of the room. In a very small room you can generally get by with less. In the dining room, the rug should be large enough to accommodate both the table and about 24" outside so chairs can be maneuvered on the rug. In the bedroom, the rug should look balanced and generally be large enough to extend 18" along the side of the bed. For living rooms, it looks best when all the furniture legs are on the rug. However, with a small living room you may like all the furniture legs off the rug. The rule of thumb is "all legs on" or "all legs off". Entire room of remnants and over stocks priced to sell and ready for delivery!